To better understand the role of emotions in a person’s life, it is necessary to understand how the brain functions and how the emotional and rational work together. The two main structures in the brain that demonstrate this functionality are the amygdala and the neocortex. In humans, the amygdala – from the Greek word for “almond” – is an almond-shaped cluster of structures just above the brainstem. There are two of these, one on each side of the brain. The amygdala is the emotional specialist in the brain. If it is separated or disconnected from the other structures in the brain, a person is unable to evaluate the emotional significance of events. Since it holds a human’s emotional memory, a disconnected amygdala will result in a life without meaning. His research has shown that sensory signals from the eye or ear travel first in the brain to the thalamus, and then – across a single synapse – to the amygdala; a second signal from the thalamus is routed to the neocortex – the thinking brain. This branching allows the amygdala to begin to respond before the neocortex, which mulls information through several levels of brain circuits before it fully perceives and finally initiates its more finely tailored response. Ledoux’s research is revolutionary for understanding emotional life because it is the first to work out neural pathways for feelings that bypass the neocortex. Those feelings that take the direct route through the amygdala include our most primitive and potent; this circuit does much to explain the power of emotion to overwhelm rationality…The amygdala can trigger an emotional response via this emergency route even as a parallel reverberating circuit begins between the amygdala and neocortex. The amygdala can have us spring into action while the slightly slower – but more fully informed – neocortex unfolds its more refined plan for action. This routing in the brain is crucial because it saves time in the case of an emergency. However, it carries a limited portion of messages while the major portion of messages take the longer road to the neocortex. What registers in the amygdala is enough of a signal to issue a warning. But in the case of an emergency, one does not necessarily need to know all the details of the situation to know that he is in danger. Though the amygdala is at work preparing the impulsive reaction, another part of the brain is trying to prepare a more fitting response. At the other end of a circuit to the neocortex, just behind the forehead, lie the prefrontal lobes. The prefrontal lobes attempt to act as a constraint to the reactive amygdala. The lobes are at work when someone is afraid or enraged, constraining the emotion to deal more effectively with the environment. This area brings a more thoughtful, analytical response, modulating the emotions. Ordinarily the prefrontal areas govern our emotional reactions from the start. The largest projection of sensory information from the thalamus, remember, goes not to the amygdala, but to the neocortex and its many centers for taking in and making sense of what is being perceived; that information and our response to it is coordinated by the prefrontal lobes, the seat of planning and organizing actions toward a goal, including emotional ones. In the neocortex a cascading series of circuits registers and analyzes that information, comprehends it, and through the prefrontal lobes, orchestrates a reaction. If in the process an emotional response is called for, the prefrontal lobes dictate it, working hand-in-hand with the amygdala and other circuits in the emotional brain. The key to this happening appears to be the left prefrontal lobe. 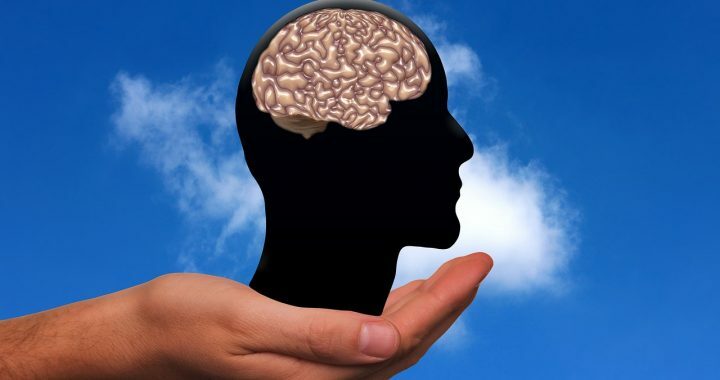 Neuropsychologists who have done research with people with brain injuries in the prefrontal lobe areas have determined that the task of the left prefrontal lobe is to act as a damper, a neural thermostat, which regulates unpleasant emotions. The right prefrontal lobe is the location of negative feelings, like fear and aggression, whereas the left prefrontal lobe keeps the raw emotions constrained, possibly by inhibiting the right prefrontal lobe.